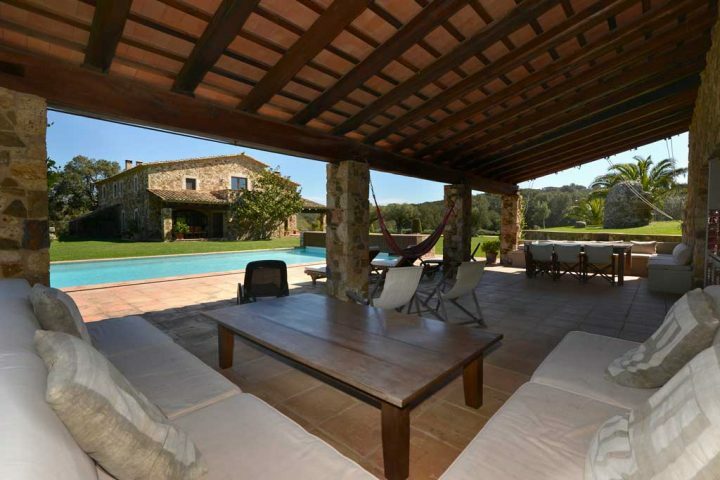 A charming holiday Masia (a typical Catalan property) offering beauty, complete privacy and seclusion. Mas Gall is a distinctive and unique 300 hundred year old property situated on the Costa Brava (Spain) now available as a holiday accommodation. 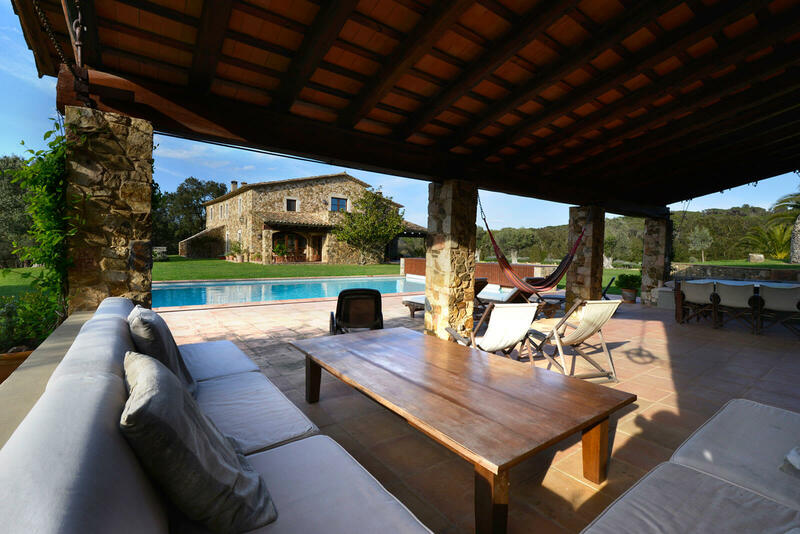 The new Mas Gall house was built in 2000, retaining the traditional Catalan architecture and style both internally and externally, but also incorporates every modern convenience. 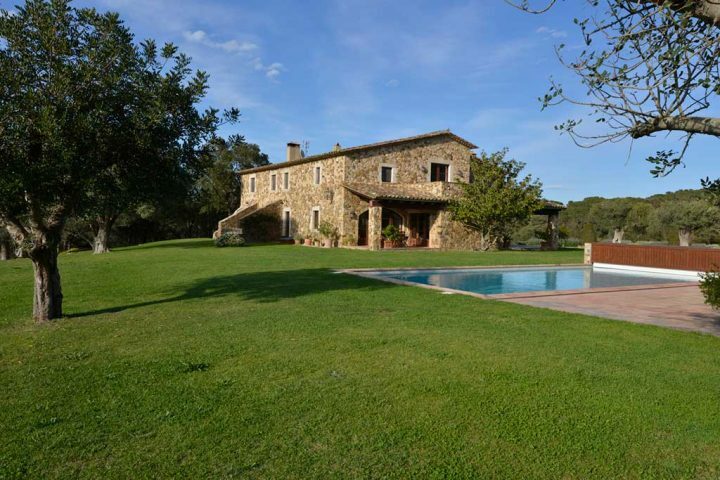 This vacation rental Masia has 15 hectares of cultivated gardens, pastures and forest of oak, cork and pine trees which offers privacy and seclusion. 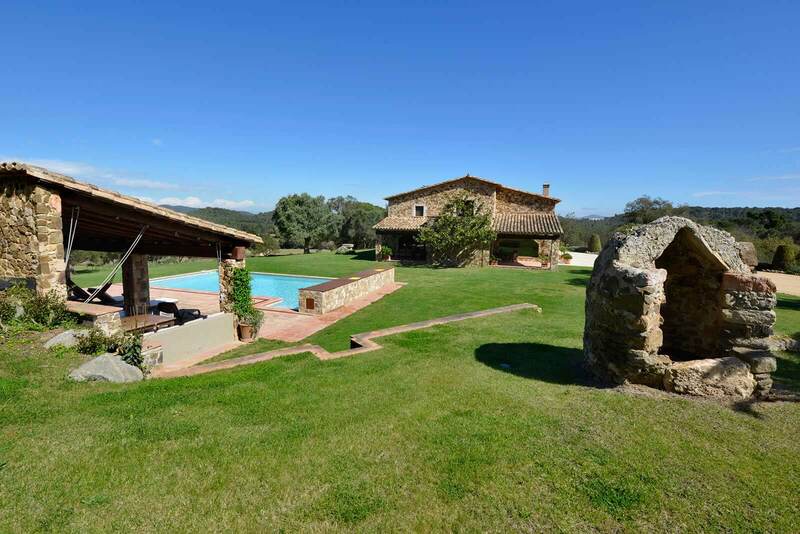 This spanish rental Masia is a breath-taking retreat offering peaceful tranquility for your spanish holiday. The entire property is securely fenced with gates at each entrance point for exclusivity and security. 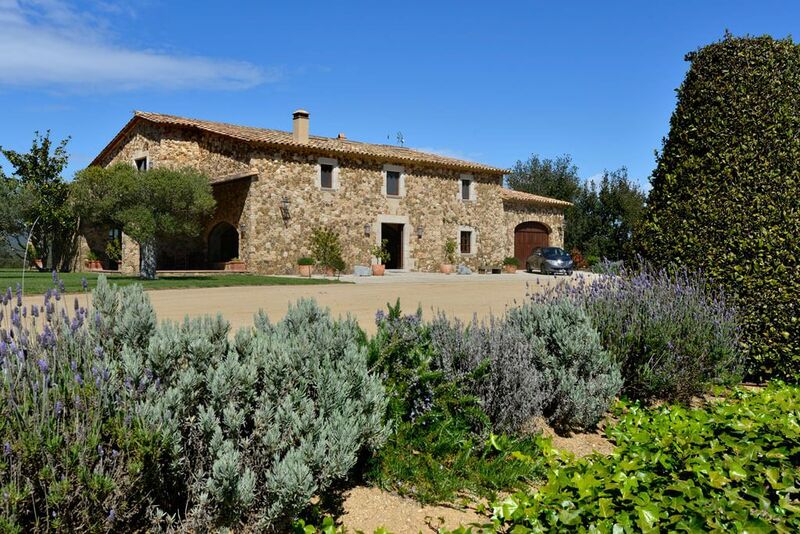 Mas Gall is just 900 walking meters to the beach and also close to one of the most natural and un-spoilt areas of the Costa Brava coast. 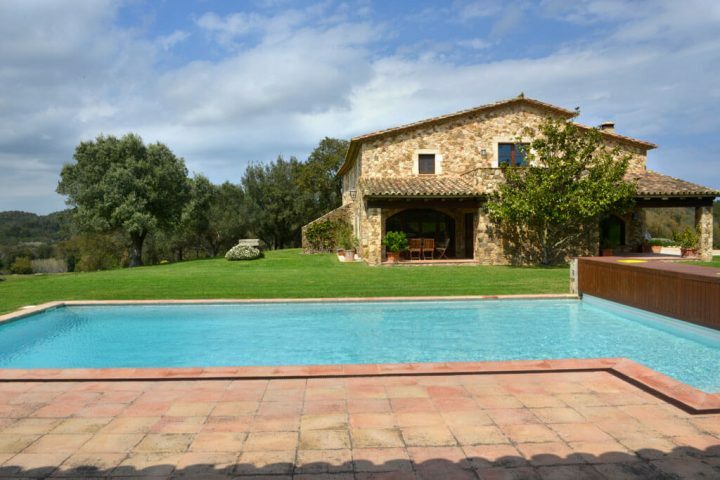 The historic fishing town of Palamos is only 9 kilometers from the holiday villa offering sandy beaches, interesting shops, a marina and of course fabulous restaurants to indulge in the wonderful Spanish and local Catalan food. 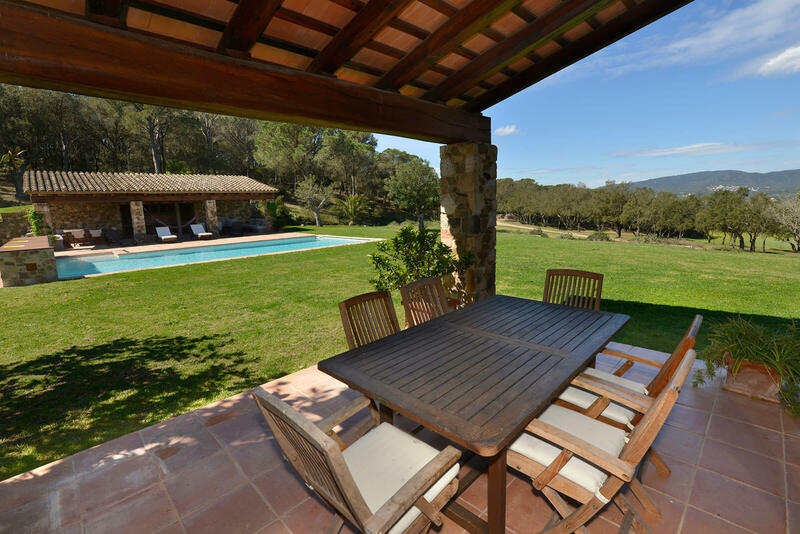 Location: The vacation rental villa is just one and a half hour drive north east from Barcelona, between Palamos and Palafrugell. 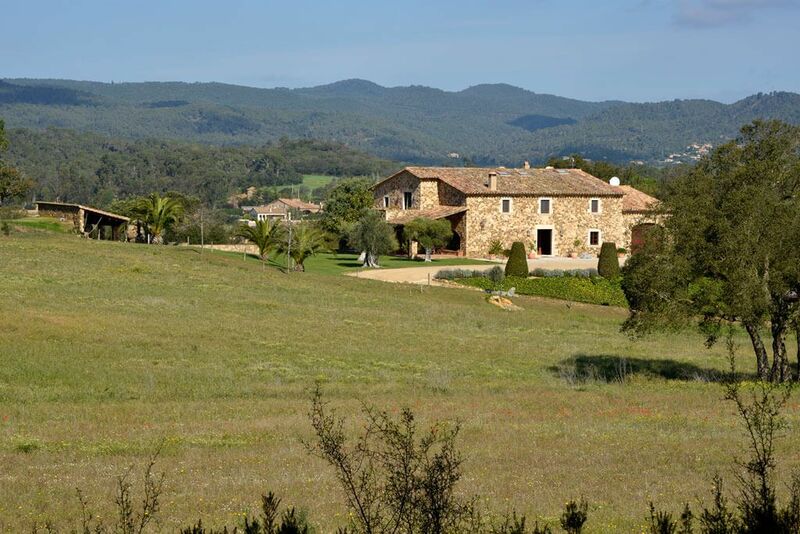 Just 50 minutes from the international airport at Gerona and 50 minutes from the new fast European rail link at Figueres. Holiday home accommodation: This air conditioned five bedroom home offers a spacious master bedroom with en-suite; a secondary bedroom with queen size bed and en-suite, plenty of robe and clothes storage. A third bedroom with twin beds including its own kitchenette and en-suite. Two additional bedrooms, each with a pair of twin beds, share a central en-suite which has shower, separate bath, toilet and two vanities. Total: 10 comfortable beds. Optional, one twin can be converted to a double, making three doubles and two twins. 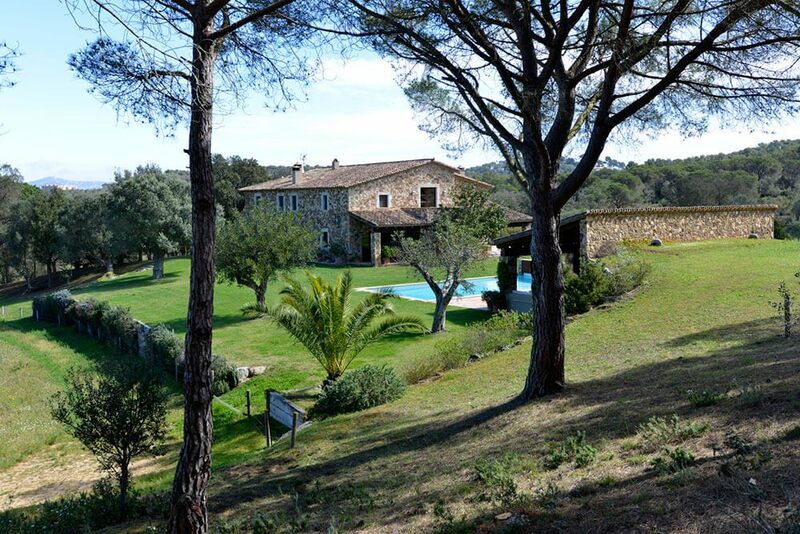 Experience gardens, pastures and forest. A perfect holiday villa. 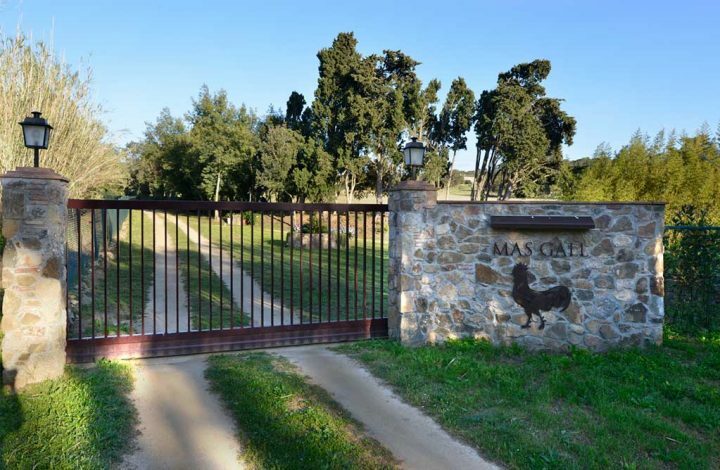 A private road leads up to the main door of Mas Gall, your holiday home. 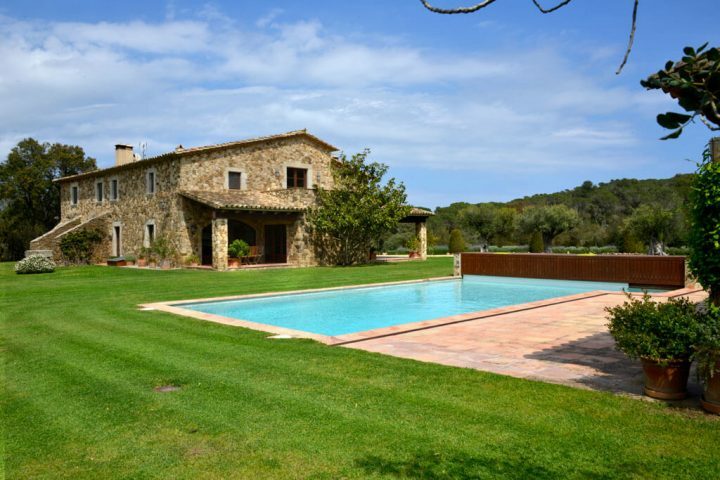 Experience the sun and a country atmosphere while swimming in the wonderful pool. 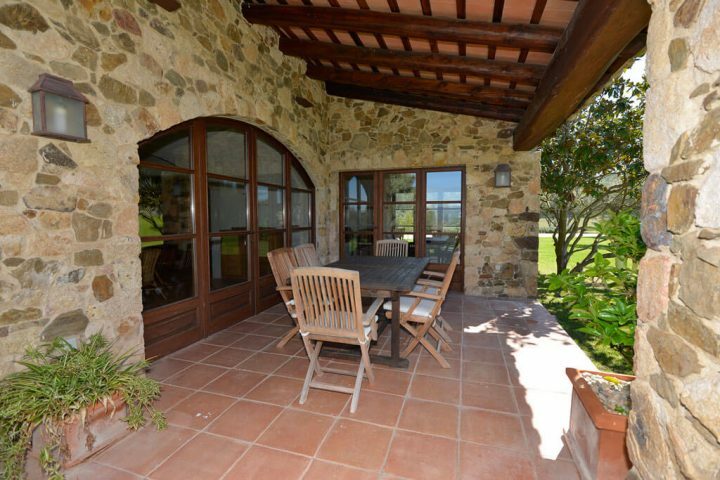 This holiday villa in Spain has convenient access to the garden.